Green Sweep Canada offers part time positions at a good rate of pay. If you love cleaning, have your own transportation, and enjoy working independently as well as in a team, we will train you to use environmentally-safe products and techniques and to increase speed and efficiency cleaning. Please email your resume to jessie@greensweep.ca, and include your job objective and past work experience. Three personal and/or work references are requested during interviews and all references are checked thoroughly. I truly enjoy working at Green Sweep. Jessie, owner/operator is a delight to work for. She is compassionate, considerate and accommodating while at the same time maintains a high standard of professionalism providing a great service to customers. She is passionate about cleaning and passes this attribute onto her staff. My coworkers are very pleasant to work with and we easily engage in team work to get the job done well. I appreciate the products used to clean, they get to the tough stuff (stains, mildew, grease, etc) and are gentle on my many allergies to chemicals, perfumes, food, etc. The customers I have had the pleasure to clean for are fabulous. They are kind, trusting and appreciative of work performance. I have worked with Green Sweep for a year now, I am thankful to have worked with such a great team. 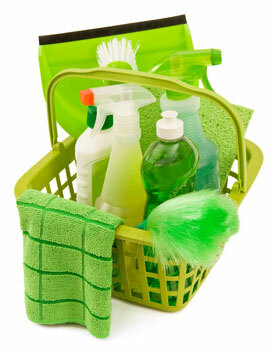 Green Sweep has extremely flexible hours (weekdays/evening's/weekends). So if you're looking for a flexible/reliable job, this is it! I am getting to paid for what I love to do... CLEAN!